Machine- and Hand- film, pre-stretched in different thicknesses. 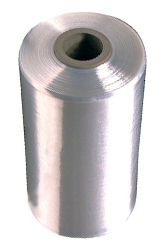 Only with us: Cost reduction by more yards per roll. more yards per roll means fewer roll changes for your employees and less disposal of cardboard tubes, which are waste. more yards on the roll also mean more yards per pallet and therefore less storage space, less storage operations and the hassle of changing pallets.